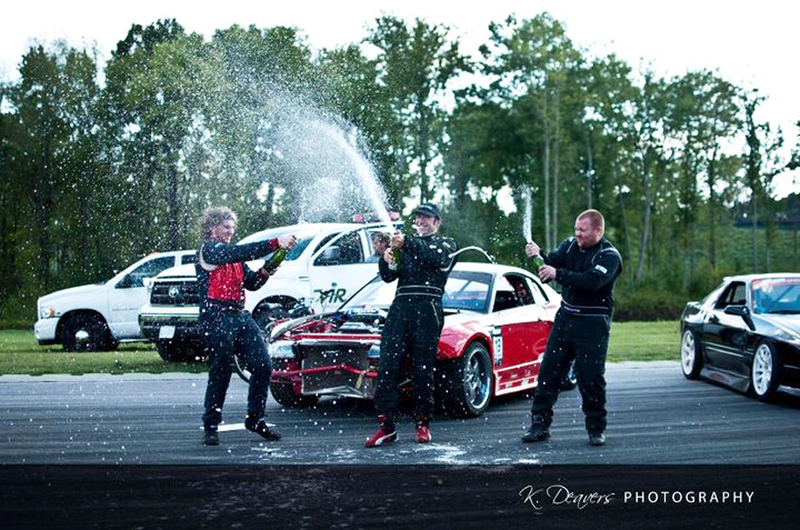 The final Formula Drift Pro-Am event presented by Streetwise Drift is now in the books and once again, our boys from D’Vanz Motorsports came out on top. September 10th brought top Pro-Am teams from the Southeast up to Virginia International Raceway in Alton, VA for what proved to be a real exciting day in terms of points, licensing and carnage. The event not only would decide who would win the season-long SE Pro-Am points title but more importantly up for grabs were 4-entries into the 2012 Formula Drift Pro Tour. 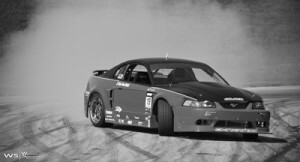 For those of you not familiar, Formula Drift is an “invitation only” series and just because you’ve been in the series before doesn’t mean you can just enter again later at your own discretion. The rule is unlike any other form of motorsport in the world but there it is. Our man Doug came into this event in 4th place in the points. Remember (thanks to a lack of sponsorship) that our team started their season one event behind everyone else so a strong 4th place was pretty good but the driver in 5th still had a mathematical shot to move up should anyone in the top-4 falter. As customary with a single-day event, all the teams were given two practice sessions to get their cars straight. DVM started with their chassis set-up from the last event at Charlotte and began tuning from there until they got the car to DV’s liking. Before the qualifying session, Doug was feeling pretty good. “The car’s working really well, our Falken tires are giving me good grip and our STS turbo is singing it’s happy tune so I think we’ll be in good shape.” DV said just before he climbed into his car for qualifying. In what one series official descibed as, “a clinic on how the drive VIR”, Van Den Brink came down the hill with a full 10mph more than he had on his first run and with even more angle, flicked his Mustang down through the esses and squarly into the number 1 qualifying position. 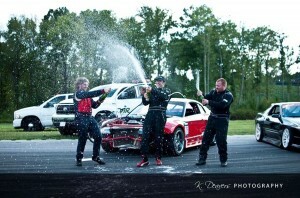 “It feels great to have won the Pole here at VIR. Now if we can turn this starting position into a good finish, it’ll be a good day.” Doug said as he climbed from his car. Unfortunately for many drivers, the track proved to be too tough to tame as many of them had difficulty navigating the rolling Virginia countryside. Still others had mechanical issues like blown or mis-tuned engines. After qualifying, the 23-car field was cut to only 8-drivers which meant a very short but super aggressive competition was about to ensue. For DV’s first tandem battle, he would go up against Canadian newcomer Max Piorier. Doug led the first lap driving a fairly good line with Max trying his best to keep up with the Mustang in his Nissan s13. The power of the Ford was more than the Canadian’s car could muster and Max was left a bit behind by the end of the track. On lap-2, Piorier would lead with DV following close behind. Max took-off from the start fast hoping he could get away and leave the Mustang behind, but Doug stood on the gas and stayed right with him coming into the first clipping point. As the two drivers got down to the bottom of the second hill, Max spun his car around nearly collecting DV in the process. All this went completely unnoticed thanks to all the tire smoke following the two cars down into the valley. That spin in addition to Max not being able to maintain the pace on the first lap, gave the win to Doug moving him on to the Top-4. Next up for Doug would be the series points leader coming into the event Jeremy Lowe in his Mazda RX-7. Jeremy has a reputation for carrying a lot of speed through the course so DV knew he’d have to stay right with him at the start. On the first lap Van Den Brink ran a bit too wide of line going down the second hill and dropped his left rear tire in the dirt giving him a small deduction. On the second lap Lowe did the exact same thing which forced the two drivers to go “1-more time” meaning their first two passes would be wiped away and they’d have to start all over again. On the 3rd pass, Doug pulled out a gap, drove a clean line and was able to carry a small advantage over Lowe going into the 4th and final run. With Jeremy leading, the drivers made probably their worse run of the day as they both dropped wheels off the track and just generally made a bit of a mess of it. So the judges referred back to the 3rd run and awarded Van Den Brink the win moving him on to the Finals. In the Finals, Doug went up against Pat Goodin driving his Chevy V8 powered Nissan s13. Feeling like victory was right there in his grasp; on lap one Doug brought as much speed down the hill as the Mustang could stand, just barely holding on to the edge of the road as he swung his car down into the valley. Behind him, DV left Goodin with a windshield full of Falken tire smoke and losing his orientation, Pat spun his car in the middle of the tracks big sweeping corner. On the second pass, Pat would lead with DV in hot pursuit. As the two drivers went down the hill and into the valley of tight S-turns, Pat over rotated his car and had to slow significantly in order to maintain control. This sudden change in speed caught Doug completely by surprise and with the decision to either ram into the back of Pat’s car or check-up, DV locked-up the brakes missing Pat but spun the car out in the process. Had the judges been able to see this sudden change in Pat’s speed, they would have seen that Doug did the only thing he could do. Unfortunately, perhaps not being able to see clearly through the large amount of tire smoke caused the judges to fault DV for his spin so once again…. 1-more time! 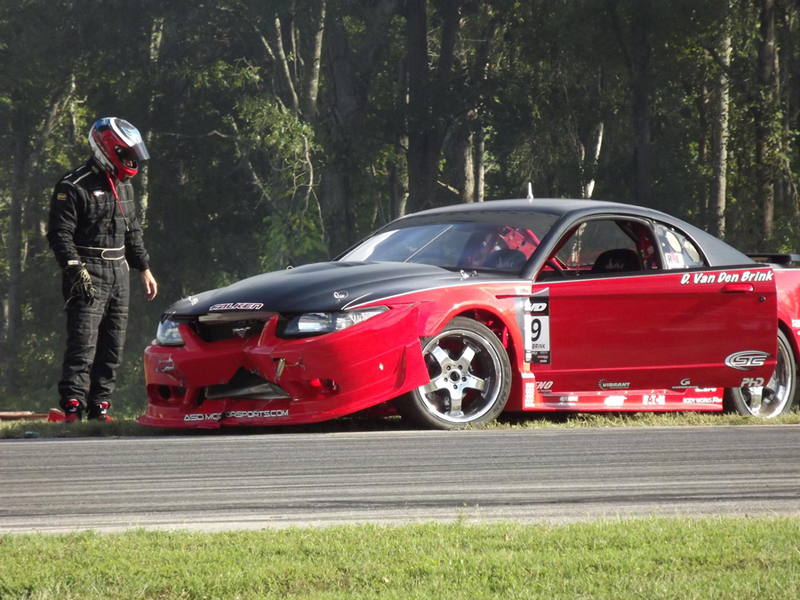 For the pair’s 3rd pass, Doug again laid down a clean lap with enough speed to pullout a large gap on the lightweight Nissan giving DV the clear advantage. On the 4th lap, learning his lesson from lap-2, Doug let Pat pull out a good size gap coming down the hill. Once into the Sweeper, Doug poured on the coals and starting reeling in the Nissan driver. Just as DV began to close in, Goodin lost the handle on the back of his car and spun directly into the path of the closing Mustang. Unable to slow the car down quick enough, Doug slammed into the side on Pat’s car spinning it around like a Top. Luckily for Doug, even though his car was crashed, he was awarded the overall Victory since Goodin spun his car. Up next for Doug and his crew will be the season-ending XDC event at Texas Motor Speedway in Ft. Worth, TX on Sept. 24th. 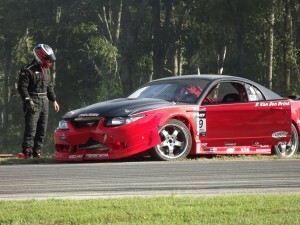 He is the defending champion going into this event and after the VIR win, the team’s confidence is high. Please check back for the full post-event report.